Our life with Jack and Liam as we continue to build our family through adoption. "I'm not freaking out now. This is fun!" 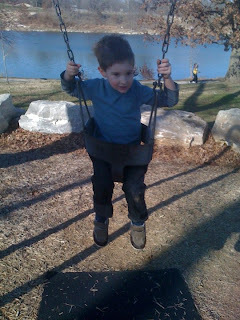 Jack insisted on us pushing him higher and higher. We were informed that we need to buy him wings so he can fly. Hello beautiful. 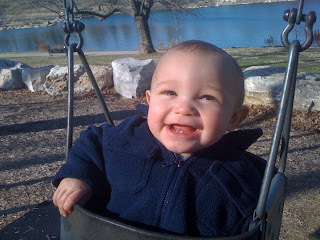 Swinging is so much fun! Welcome to my site intended to chronicle life with my computer nerd husband and our precious boys. Where Do You Work Again? Weekend in Review and What about China? I'm a very blessed woman to be a mother to three handsome boys and one lovely girl. I enjoy being creative and love telling people's stories through my work as a video producer. I wish Jane Austen had never died. I love trash magazines and despise most reality TV.